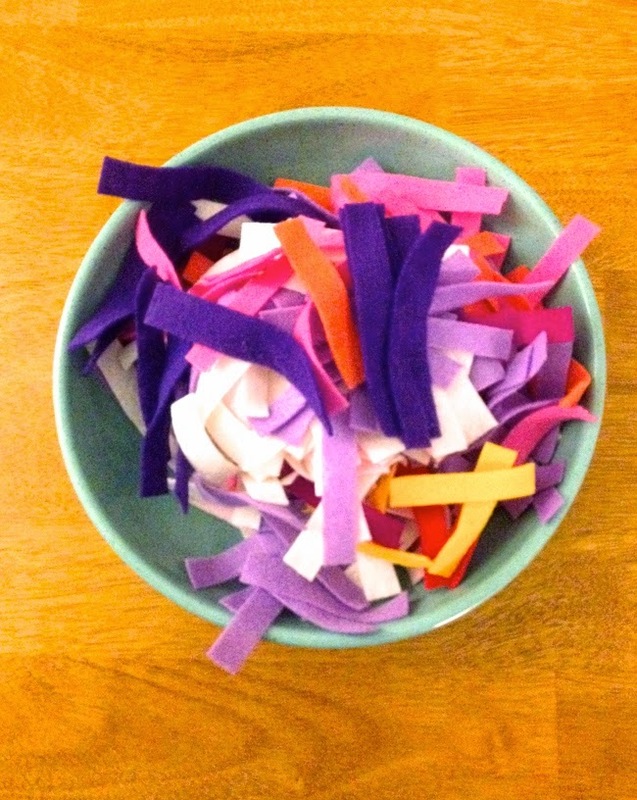 Today's a big day for The Surznick Common Room - we're sharing our first guest post ever! Today you're going to hear from our super adorable and awesome friend Madeline! She made some amazing holiday garlands that you're going to want in your home ASAP. So grab a drink, a few chocolates, and spend Galentine's Day making your home as cute as can be. Okay, take it away, Maddy! Hi! My name is Madeline and I’m Sarah and Nick’s real life friend. I say it that way because at one point, Sarah and I were mere internet friends. The horror! It was a biggg step to go to that next level of friendship, but we did it! Yay! Sarah and I bonded over music, beer, and crafts…probably our three favorite things. I wanted to stop by to give you a little look into my crafty little world in Lancaster, PA! 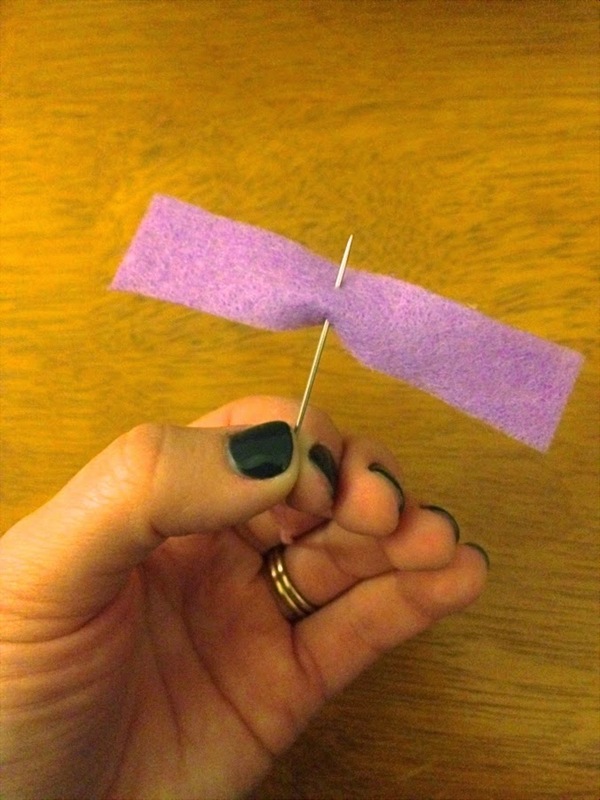 I hope you enjoy this guest post. Cheers! Decorating for the holidays. Something I always want to do, but I’m not willing to spend a ton of money on doing. A Christmas tree? Yes. A million hearts and wreaths and cutesy items? Not so much. Though, admittedly, I do love cutesy items. So instead, I decided to make a few garlands that I could reuse for other holidays or events. And I’m game for anything involving felt, so here you go! The top garland is a felted necklace I was eying up for a while and eventually purchased from Paper Source. I was constantly looking for felted beads/balls and always disappointed at how expensive they were. I was also not happy about wool prices and how much effort is involved in making felted wool balls. So, I purchased this necklace for $12.95, deconstructed it and reconstructed it into one long strand using a needle and thread. I love this and will definitely be leaving it up for a long time (read: forever). The middle garland is an Anthropologie-inspired piece. Again, it’s made out of felt, so creating this myself was a no-brainer. 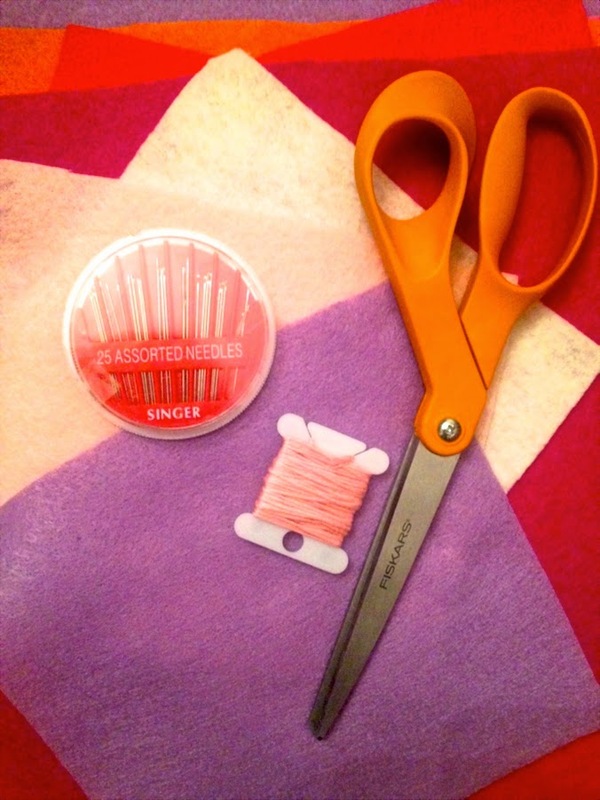 - Cut each piece of felt into little strips. Don’t be afraid to cut them all different widths and lengths. It adds some interesting character to the garland. 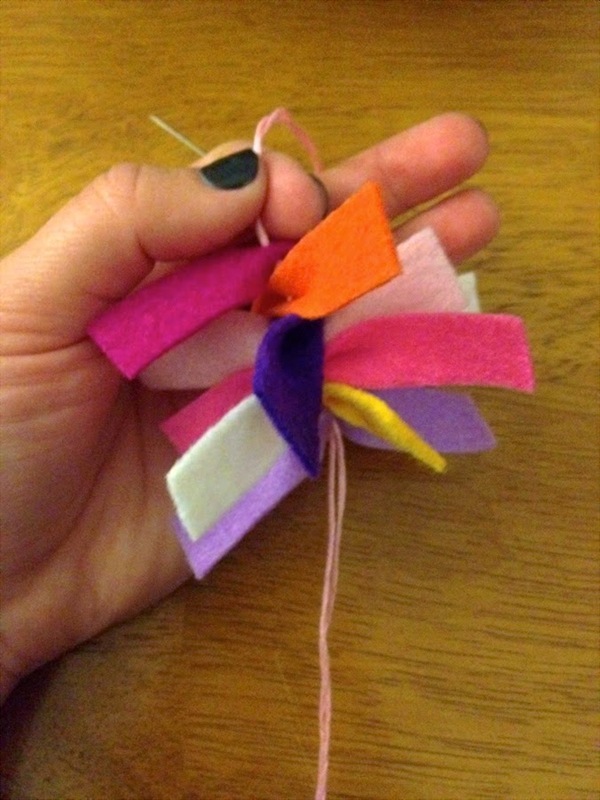 - So, after you thread a bunch, your garland will start looking like this. - Keep going until it’s your desired length. Mine is an arm’s length and a half, which didn’t take too long to string. 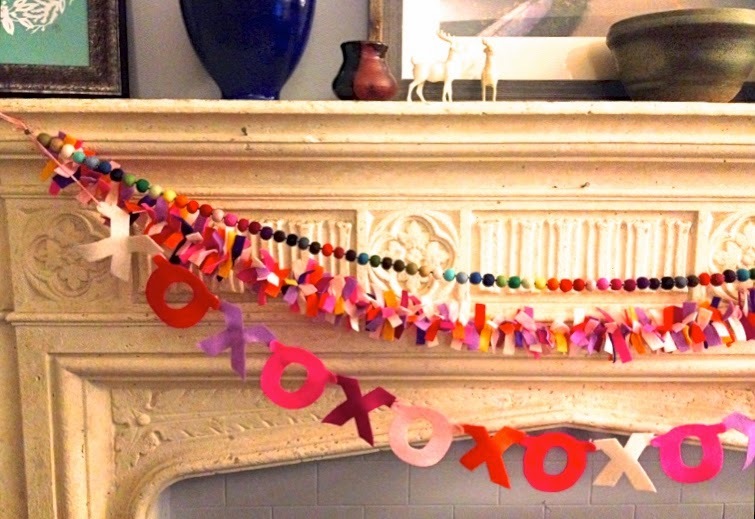 Now, the third garland, xoxoxo, is my favorite! 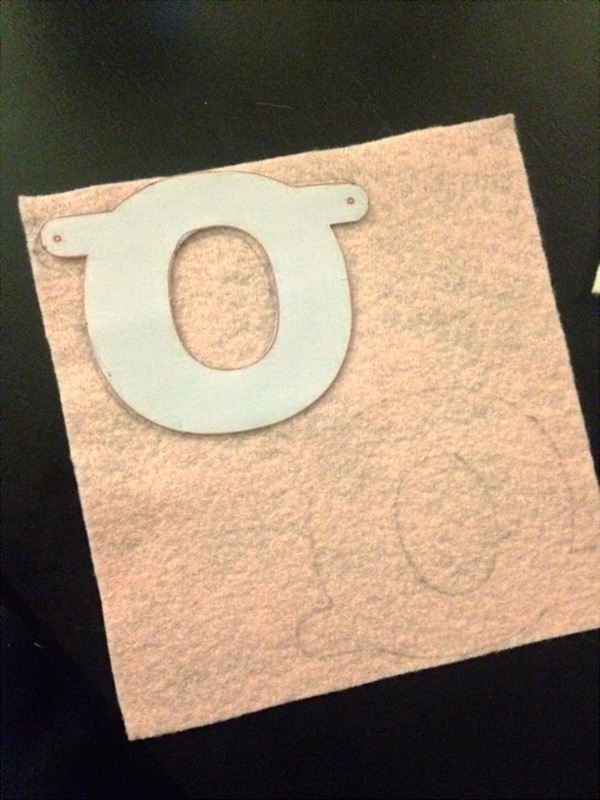 - I cut out each letter and traced them onto felt. Again, I used several different colors. Cut out each letter and lay them out in a color order you like best. - Now it’s time to string them together. I used one little loop through both letters to secure them together. Here you can see me sewing them together in my sweatpanted craftland glory. 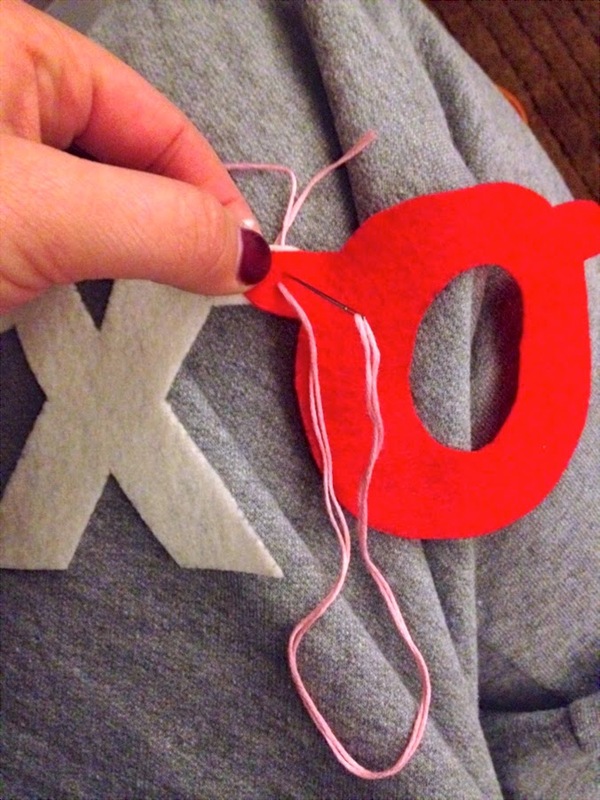 - Once you have sewed each letter to it's neighbor, add a loop of thread to each end for easy hanging. And then, hang ‘em all up, take a step back and admire your gorgeous garlands. I think the layered look is so great and festive. Throw in a string of lights if you’re feeling wild! I’m planning on making a couple more lettered garlands in the (very) near future. The world is my oyster, ya know? I hope you enjoyed getting a little peek into my mantel area and how I like to decorate it!